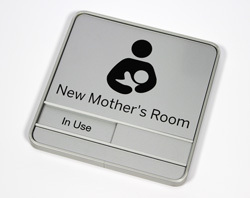 9"W x 9.25"H ADA braille MOTHER'S ROOM sign with sliding availability tab to label designated spaces in your office building, hospital, clinic or school. 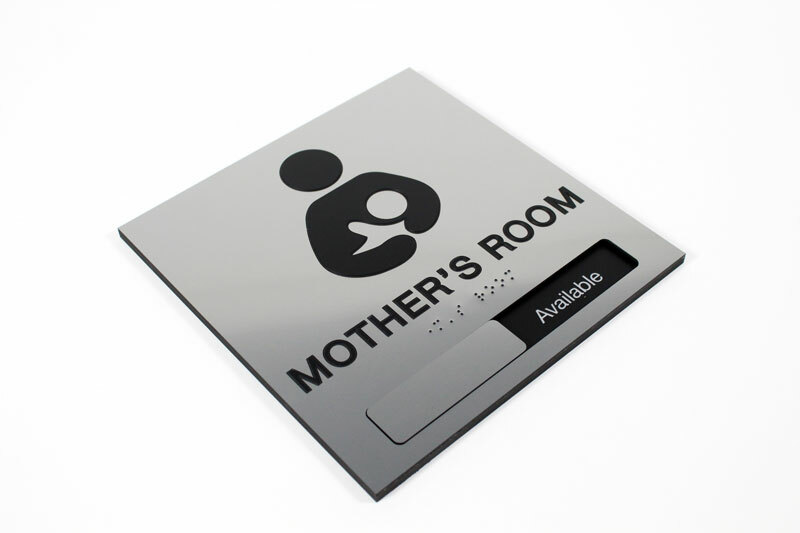 These slider signs are a stylish and convenient way to show whether or not the quiet rooms, lactation rooms or mothers wellness rooms in your building are in use or available. 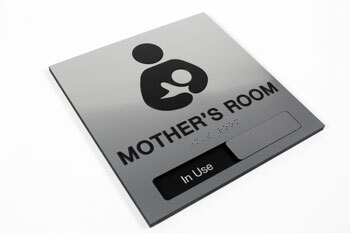 Professional office signs for the moms and mothers in your facility or place of business. 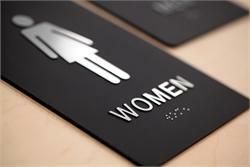 Slider sign is compliant according to ADA standards measuring 1/4" thick with 1/32" tactile text and braille. Standard header text reads MOTHER'S ROOM with graphic included and the slider tabs read "In Use" on the left and "Available" on the right. 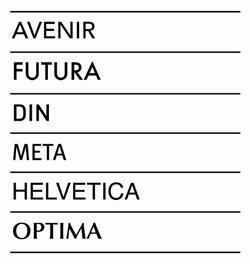 If you prefer your own custom text, enter this in the order form and we will produce to your specifications at no additional charge. 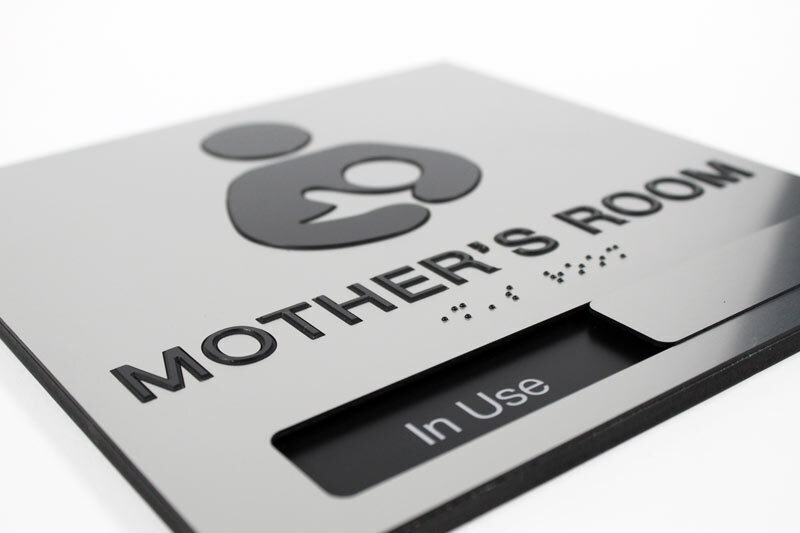 These ADA braille mother's room signs with availability slider have been redesigned to be lighter weight and have a more seamless edge at a lower cost! 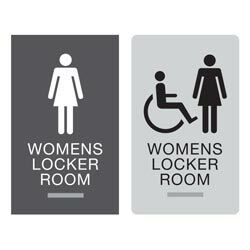 Click here to learn more about the new sign construction. For help in any way, please contact us at (701) 526-3835 or service@officesigncompany.com with all of your details or sign layout instructions. Request a digital sign proof at any time, even before an order is palced. 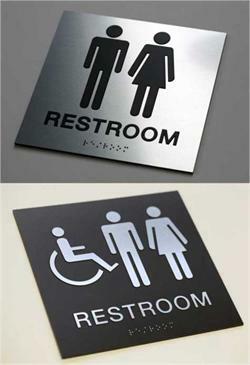 Custom message slider signs and office signs. 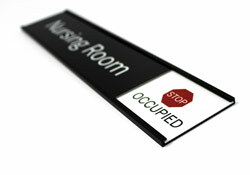 Personalize the header text of your sign here. 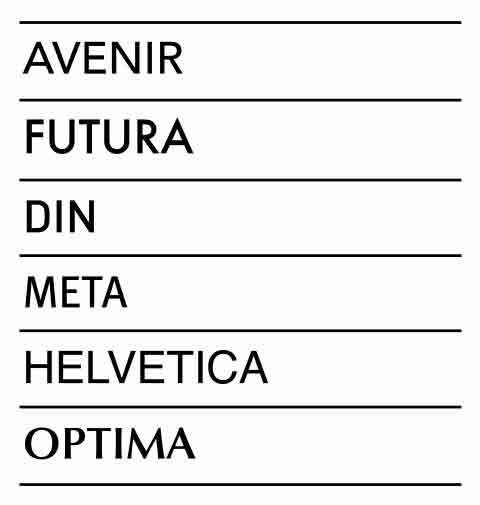 Indicate line breaks with slashes (/). 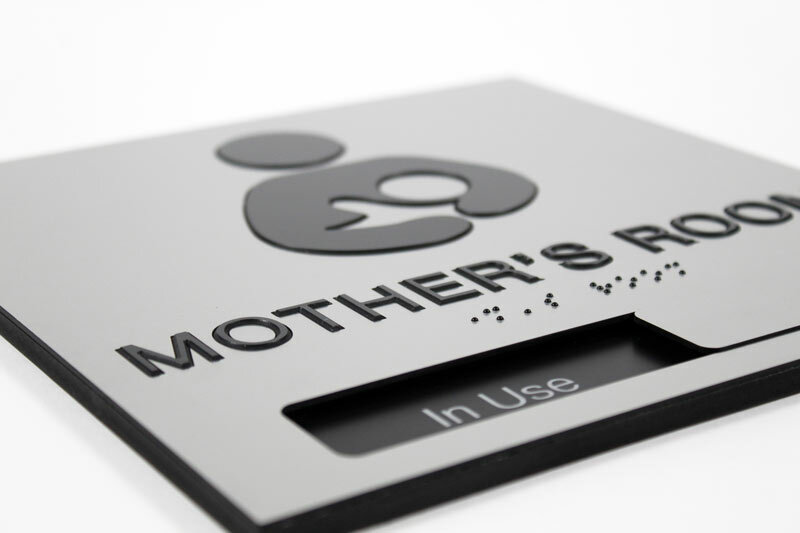 Tactile text will be in ALL CAPS to be ADA compliant. 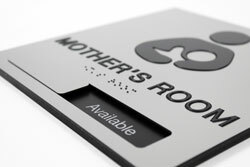 Standard text reads "MOTHER'S ROOM" with graphic.